Independence drivers looking for a powerful and capable SUV will find all that in more with the Kia Sorento. With great features, a spacious interior, and excellent fuel efficiency, the Sorento is a great buy. 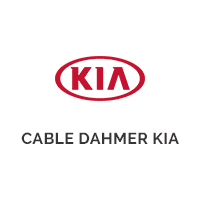 Look through our used models to get a great car at a fantastic price at Cable Dahmer Kia of Lee's Summit. Feel free to view our pre-owned specials, look through our financing options, or visit us today near Kansas City for a test drive. If you have any questions, please contact us.